Groundhog day first started on 02 February 1886 in Punxsutawney, Pennsylvania. It is a popular tradition in the United States. It is the day that the Groundhog comes out of his hole after a long winter sleep to look for his shadow. 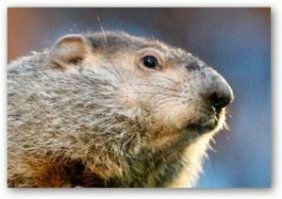 The Groundhog is believed to be able to predict the weather … the onset of Spring … by whether or not it sees its shadow when it emerges from its burrow. No shadow means an early Spring - if the day is cloudy and shadowless, the Groundhog takes it as a sign of Spring and stays above ground..
A shadow means Winter will continue for another six weeks. The shadow means that the Groundhog will return to its burrow. 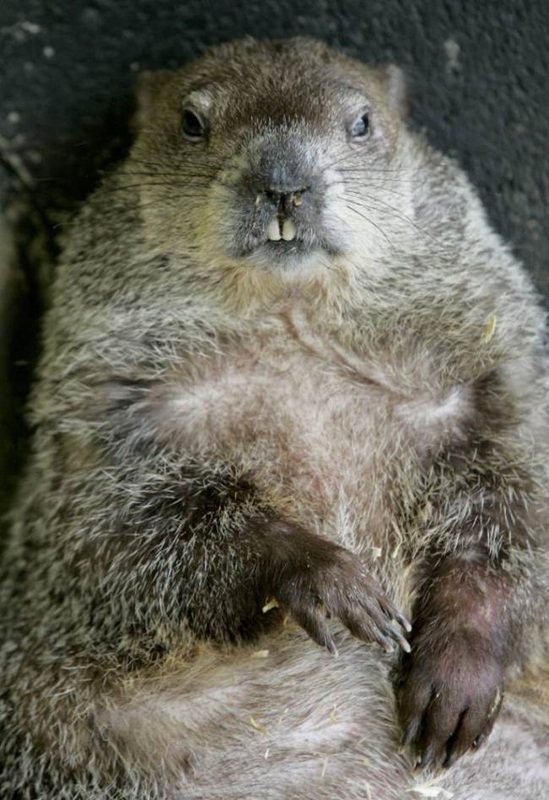 02 February 2014: The Groundhog predicted that it was NOT the onset of Spring, and returned to its burrow. A Groundhog is also known as a Woodchuck, a whistle-pig or land-beaver. It is a mammal and a rodent and is from the ground squirrel group known as marmots. Can live up to 6 years, but averages 2 - 3 years. Predators include cougars, coyotes, fixes, bears, eagles, wolves and snakes. Are Herbivorous and at wild grasses and other vegetation, berries, grubs, grasshoppers, insects and snails. 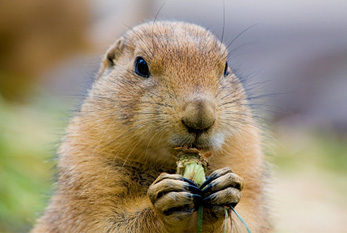 Unlike squirrels, Groundhogs do not bury nuts. Hibernate and often build a special 'winter burrow' for this purpose. Swim well and excellent tree climbers. When frightened, the hairs f the tail stand straight up, mimicking a bush. Has between 2 - 6 hairless young. 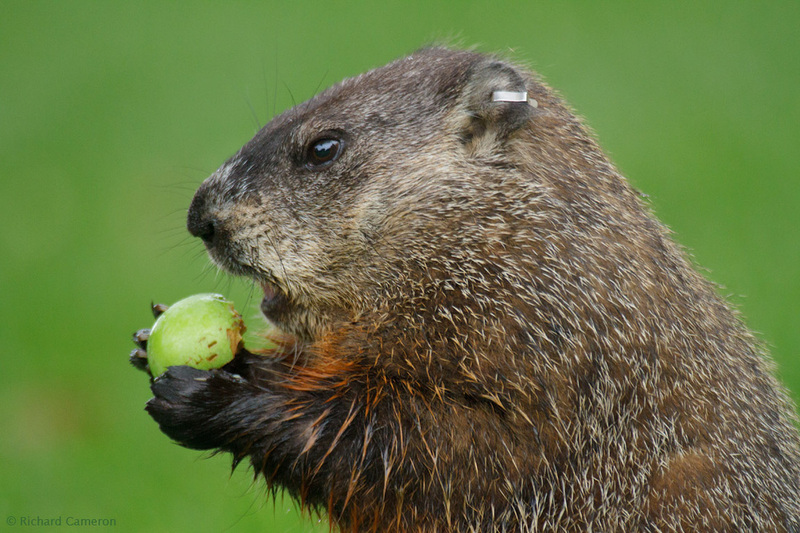 The Collective Nouns for Groundhogs is: A repetition of Groundhogs.